This document made huge strides towards the implementation of all the seven Commitments of the Brussels Programme of Action of the Least Developed Countries that was adopted by the Third United Nations Conference for the Least Developed Countries for the decade 2001-2010. 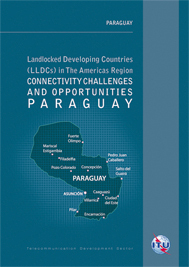 The work undertaken falls into the following areas: a) Development of rural telecommunications: The digital divide in most countries is between urban areas and remote rural communities; b) Development of infrastructure and introduction of new technologies and services: The idea has been to identify low-cost, affordable and appropriate technologies for the LDCs; c) Sector Restructuring: A friendly regulatory and legal framework is catalytic to both domestic and foreign investment into the ICT sector; d) Human resources development/management: Assistance was given to train and retrain experts in LDCs and e) Emergency Telecommunications: Assistance in disaster risk reduction was given to LDCs, Small Island Developing States and some Land-Locked Developing States. The World Telecommunication Development Conference (WTDC-06), Resolution 17 (Rev. Doha, 2006), recalled Resolution 17 (Rev. Istanbul, 2002) of the WTDC-02 which considered that telecommuni¬cation/ICT is one of the vital elements for the growth of national and regional economies. 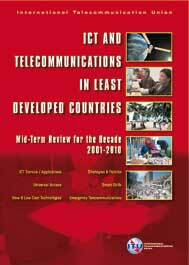 Besides, the World Telecommunication Development Conference, WTDC-02, Resolution 37 (Istanbul, 2002), recognized, among other issues, that there is need to show clearly what the digital divide is, where it occurs and who suffers from it, considering that, even with all the developments occurring in the recent years, in many developing countries telecommunications are still not affordable to the majority of the people. Therefore, it was resolved that each region, country and area must tackle its own specific issues regarding the digital divide and that many countries do not have the necessary basic infrastructure, long-term plans, laws, regulations and such like in place for Information and Communication Technology (ICT) development. 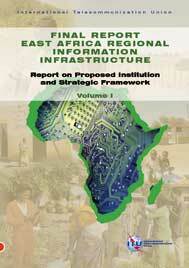 This report focuses on the East Africa Regional Information Structure and proposed institutional and strategic framework. 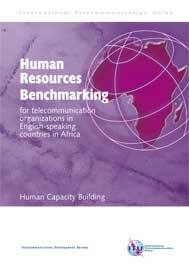 "The International Telecommunication Union (ITU), in its continued support of developing capacity building in the African Continent, sponsored the Human Resources Benchmarking study for telecommunications organizations in English-speaking Countries in Africa. The findings of this study are expressed in this report. " 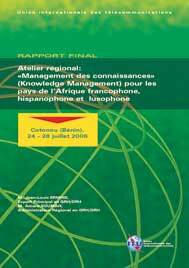 "This report analyses the results of a survey carried out by ITU to define HRD/HRM current and future needs and priorities in a converged, competitive telecommunication/ICT environment; assess the readiness of the HR function to meet the current and future human resources challenges of the information society and develop recommendations on how ITU/BDT, and in particular the HCB Division, can assist countries to bridge any readiness gaps existing within their HR function. " This report is produced as an input to the Fourth United Nations Conference on the Least Developed Countries (LDC-IV), to be held in Istanbul, Turkey, in May 2011. 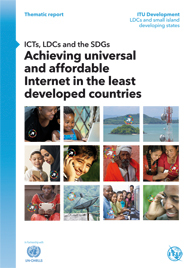 The objective of this report is to present projects and actions the International Telecommunication Union (ITU) undertook from 2006 to 2010 to assist least developed countries (LDCs) in joining the knowledge economy through the deployment and use of information and communication technologies (ICT). 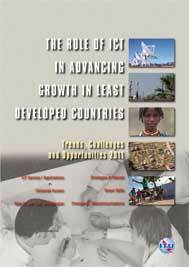 The report seeks to complement and update the 2001-2005 review of activities ITU presented at the Special Session of the UN General Assembly in 2006, in which the UN conducted a comprehensive mid-term assessment of the progress made until then in implementing the Programme of Action for the Least Developed Countries for the Decade 2001-2010 (PoA). The Programme of Action was adopted at the Third UN Conference on the Least Developed Countries, held in Brussels in May 2001, to establish a comprehensive, result-oriented, poverty reduction strategy, tailored to the special needs of the LDCs. The Programme of Action - also known as the Brussels Programme of Action (BPoA) - has an overarching goal to make "substantial progress towards halving the proportion of people living in extreme poverty and suffering from hunger by 2015 and promote sustainable development" of LDCs. To this end, the BPoA developed a framework for partnership between LDCs and their development partners carrying the overarching goal of helping in the eradication of poverty. 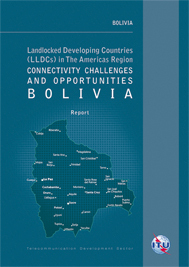 This report shows that, while LDCs are, by definition, particularly burdened by severe structural impediments to growth, progress is possible. It introduces the cases of the three countries that have graduated from the LDC status since the category was established (Botswana, Cape Verde and Maldives), as well as those of five countries in the Pacific region, facing the special challenges of being Small Island Developing States (SIDS): Kiribati, Samoa, Solomon Islands, Tuvalu and Vanuatu. 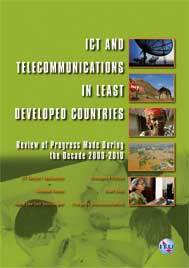 The case studies overview the progress made by each country in improving telecommunication and ICTconnectivity and establishing an enabling regulatory framework for the deployment of this infrastructure. The report also examines the impact of ICT in promoting socio-economic development in these countries and presents lessons and remaining challenges.